Имате въпрос към The Cube Hotel? Построен през 2013, The Cube Hotel е важно допълнение към Джокякарта и разумен избор за пътуващи. Разположен на 2.5 km от най-вълнуващите части на града, този 3-звезден хотел притежава отлично местоположение и осигурява лесен достъп до най-големите забележителности. С удобното си местоположение хотелът предлага лесен достъп до всички градски забележителности, които задължително трябва да се видят. The Cube Hotel предлага безупречно обслужване и необходимите удобства, за да удовлетвори гостите си. Хотелът е оборудван със съоръжения като 24-часов рум-сервиз, безплатен WiFi достъп във всички стаи, 24-часова рецепция, съхраняване на багаж, Wi-Fi връзка в общите части. Атмосферата на The Cube Hotel се усеща във всяка стая. Удобства като телевизор с плосък екран, достъп до интернет (безжичен), безжичен интернет достъп (безплатен), стаи за непушачи, климатик са само някои от даденостите на обекта. Хотелът разполага с множество уникални възможности за отдих, като например открит басейн. The Cube Hotel е добър избор за всички посетители на Джокякарта, защото предлага спокойствие и безпроблемен престой. Ну с виду не плохой отель.радовало то,что на крыше есть бассейн.и в бассейне за дни нашего пребывания не было ни души. Раздражало то,что при заезде в номер, обнаружили что нет окна ,а есть подобие его которое выходит в общий корридор,а шторка от него до конца не задвигается.и номер видно из коридора всем проходящим мимо.попросили персонал класть нам не 2 а 4 полотенца на что они сказали что мы должны платит. За это.мы начали возмущаться .и они нам бесплатно каждый раз давали 4 полотенца а иногда и 8) завтраки ужасные .повар не повар! Курица всегда сухая была и все слишком соленое очен. Соленое . We had a good stay here. The room was clean and the facilities were fine. The pool area was very nice. The con was that it was located right next to a big road with a lot of traffic and the halls were quite noisy as well. The breakfast was mostly Asian food. Basically the Cube Hotel Yogyakarta is a mote than good hotel; the staffs were friendly the location just awesome, it got great facilties but I found quite emerging issue about the cleanliness of the room also the bathroom. They forgot to refill the toilet paper and the pillows’ cases and the blankets perhaps lil bit uncleaned caused issue with my skin. Please take mote attention to it. Thank you. the room was clean but the air condition didnt work well so it was so hot in the room. the receptionist staff didnt friendly when i reported about the air condition, she was very defensive as if she had been insulted by me. the food were very standart and need bunch of improvement. in the breakfast time they look kind of busy caused by the lack of staff in dinning room. Everything is acceptable, but need improvement. There is no adequate parking lot for the hotel guests. And if you need tranquility perhaps you have to book rooms in the back. 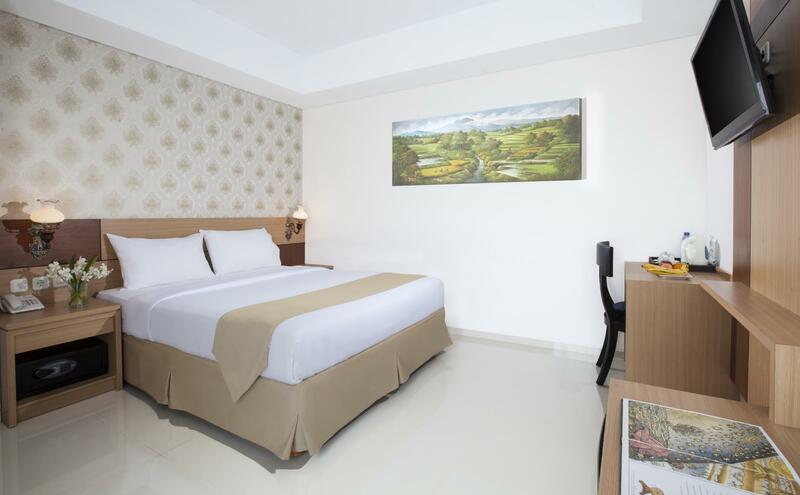 The location of the hotel is nice, easy access to Yogyakarta tourist-objects. We stayed in superior room for 4 nights. This budget hotel is ok, internet in room very fast, nice roof top bar & pool. The room was quiet small, lighting in the room a bit dark & there was no view since the room only has a tiny small glass window next to the entrance facing the pathway. So u can unveil the curtain. For smokers this hotel is non smoking hotel. The breakfast was quite good, the rooms were clean, and the staff was very helpful. This was a great hotel. The previous place we stayed was a little questionable, so we were ready for something nice. This was exactly what we wanted. It was reasonably priced, close to the attractions we wanted to see, very clean (this was a top priority for me), had a very good breakfast included, and had a very helpful staff. They helped arrange for a tour the next day at a very reasonable price. We didn't realize that they would pick you up from the airport, but they also have that capability as well. The location is close to many of the attractions, but there are not a ton of places to eat within walking distance. There is a convenience store across the street if you need anything as well. Overall, this was a great value with a clean room and a good breakfast at a reasonable price. Really enjoyed my stay and can recommend it. Rooftop pool is wonderful. I moved to this hotel from a guesthouse and wish I had spent the whole time there. Well built and well maintained. Decor is perhaps a bit dated but still very nice. 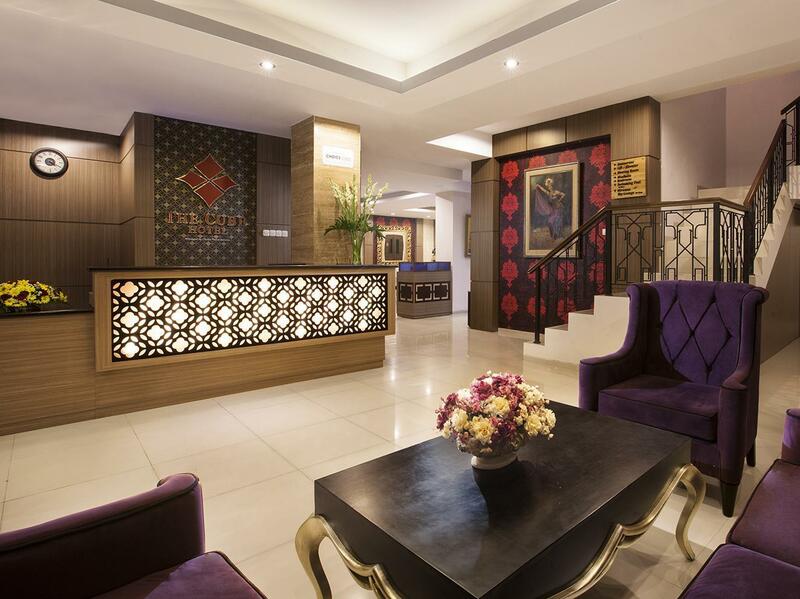 It was a comfortable 3D2N stay, the hotel was new so it feels fresh and elegant. The swimming pool is in 7th floor so we can swim while enjoying the view. The staffs are very responsive and friendly. I will stay there again when I visit Yogyakarta. Responsive, knowledgeable and helpful staff about all aspects of Yogyakarta. Down to earth and cooperative General Manager. Clean and neat room. Good various option of fresh Indonesian breakfast. Overall, fantastic and memorable stays and THANKS to all of them. the hotel is new and it is a good place to stay, they let me check in so early in the morning and that is really good. 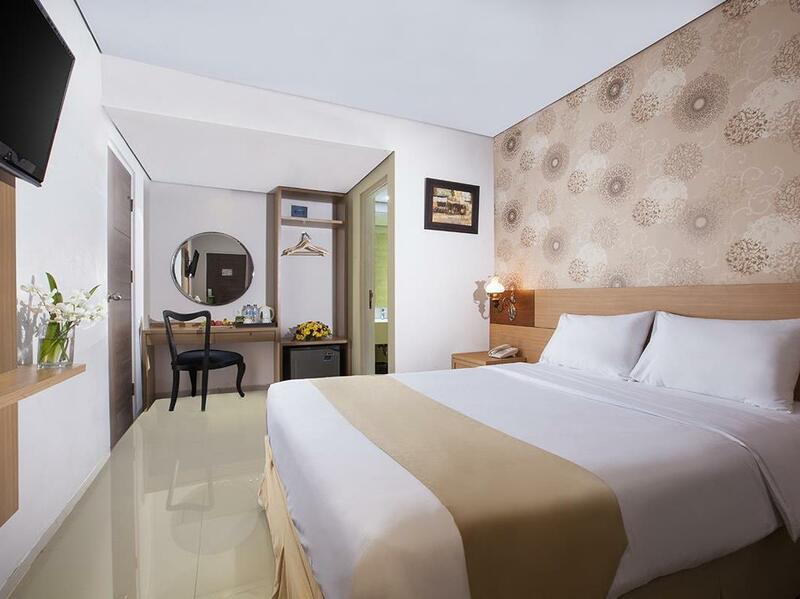 i enjoyed my stay with cube hotel and i will stay again at this hotel for my future visit in Jogjakarta. Excellent Location. The hotel was clean, but room was awful. White towels, and linens appeared dirty and repulsive.